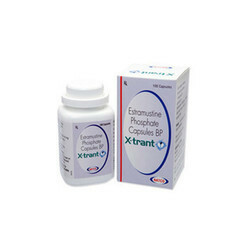 We are one of the leading suppliers and distributors of optimum quality Estramustine Phosphate Capsules. We are direct distributor for this brand. . This is one of the cancer medications to avert the growth and development of cancer in the body. 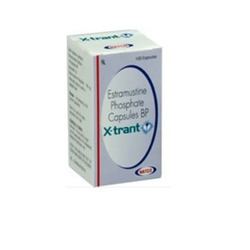 X-trant is used in the palliative treatment of metastatic/progressive carcinoma of prostate, and ensures complete hormonal as well as cytotoxic control. X TRANT 140 MG CAPSULE is used in the treatment ofprostate cancer.